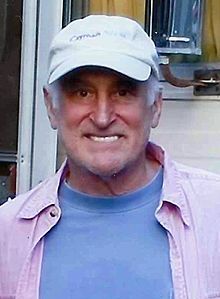 Jeffrey DeMunn (born April 25, 1947) or Jeff DeMunn is an American stage, movie and television actor. He played Harry Terwilliger in the movie The Green Mile. He played Dale Horvath in the TV series The Walking Dead. He was born in Buffalo, New York and studied at the Uninon College. DeMunn was married to Ann Sekjaer in 1974 until they divorced in 1995. They had two children. DeMunn has been married to Kerry Leah since 2001. ↑ "Jeffrey De Munn Biography (1947-)". Filmreference.com. Retrieved 2012-06-28. ↑ "Union College". Union.edu. 2001-05-01. Retrieved 2012-06-28.